Relocating overseas is a momentous decision – one that once made, requires considered planning and organisation to execute. Professional expertise is required. This is what you receive at Pers Removals. With a proud history of providing European removal services to customers across the continent, we have the acumen to manage your expectations. We employ a team of highly experienced professionals, and design a moving plan tailored to your personal circumstances. We design a plan that allows you to effectively manage your transition abroad. Before a single box is packed we will meet with you to discuss the organisational aspect of the move. We will determine the practicalities of your moving experience, and determine an appropriate strategy to ensure that the move is completed without any hiccups. We manage any shipping and storage on your behalf. We take care of all customs documentation on your behalf making the transition abroad easier. Should you need some short or long term storage for your belongings, we can help you organise this. We have comprehensive knowledge of the international highways of France, Spain and Germany. Choosing the most appropriate transportation vehicle for your purpose, our experienced drivers will design an effective route, one that guarantees your belongings will arrive in a timely manner. We employ the use of a range of vehicles to transport goods. Our small Luton vans come equipped with a tail lift and are ideal when moving goods from a smaller to a larger vehicle or in the event of restricted access for larger articulated vehicles. Our fleet includes 7.5 tonne lorries. Ideal for residential removals, these vehicles have enough space to move a 2-3 bedroom home with ease in two trips or less. Those with larger overseas requirements would benefit from our 18 tonne commercial lorries. As large as a double-decker bus, these gigantic vehicles can move a considerable amount in a single trip. With five separate doors they have the capacity to house five separate storage containers. We offer a service tailored to your personal requirements. 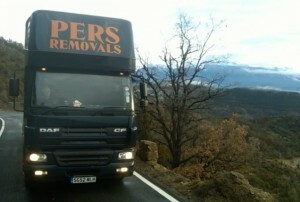 Should you require an articulated lorry for a European relocation, or merely a smaller Luton van, we can help. 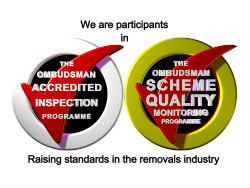 We hold industry standard accreditations that testify to our competence. Capable of transporting goods of a wealth of loads anywhere in Europe, the official Guild approval signifies a service of quality and reliability. 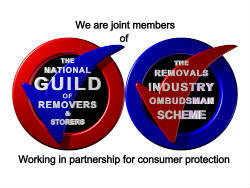 To find out more about why we are considered to be London to Europe removal specialists, and to see how we can assist you, contact us today.